The 19-year-old Simmons from Melbourne, Australia, is a freshman at LSU majoring in Sports Administration. 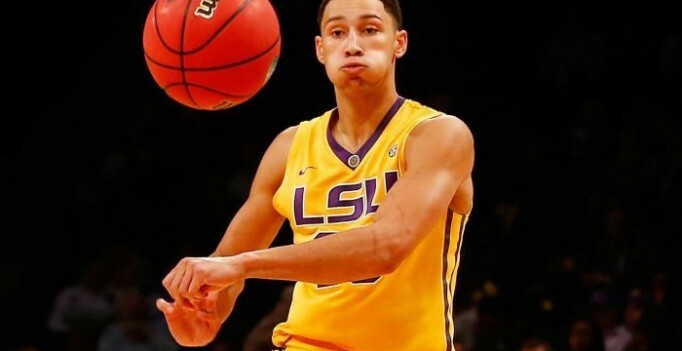 Playing for the LSU Tigers, others have also compared the 6-foot-10 guard/forward to the legendary Johnson himself because of his exceptional passing and ball handling skills and his scoring and rebounding abilities. When the Tigers won 119-108 against North Florida on December 2, Simmons contributed 43 points, 14 rebounds, 7 assists, 5 steals and 3 blocks to the team effort. Currently, ESPN’s projected 2016 NBA Draft places him at the No.1 spot. The LSU Tigers currently has 13 overall wins as against 8 overall losses. It is at fourth place at the SEC standings with its 6-2 conference record, just behind Texas A&M (7-1 conf, 18-3 overall), South Carolina (6-2 conf, 19-2 overall), and Kentucky (6-2 conf, 16-5 overall). Offensively and defensively, Simmons has been his team’s top performer. For the 2015-2016 season, he has so far averaged 19.5 points, 12.5 rebounds, 4.9 assists, 1.8 steals, and 0.9 blocks per game played. At last Sunday’s game, the LSU Tigers losed 77-75 to Oklahoma, the first placer in the Big 12 standings. With 15:31 left to play , Simmons was able to take just two more shots and was forced to commit three turnovers down the stretch by the tough Sooners defenders. In contrast, Buddy Hied, Simmons’ closest contender for the No.1 spot at the 2016 NBA draft, scored 21 of his game-high 32 points during the second half. On Tuesday, Feb. 2, the LSU Tigers will next be playing against the Auburn Tigers (9-11 overall, 3-5 conf) at the Auburn Arena in Alabama. It will be an interesting mascot match-up between LSU’s Mike the Tiger and AU’s Aubie the Tiger.